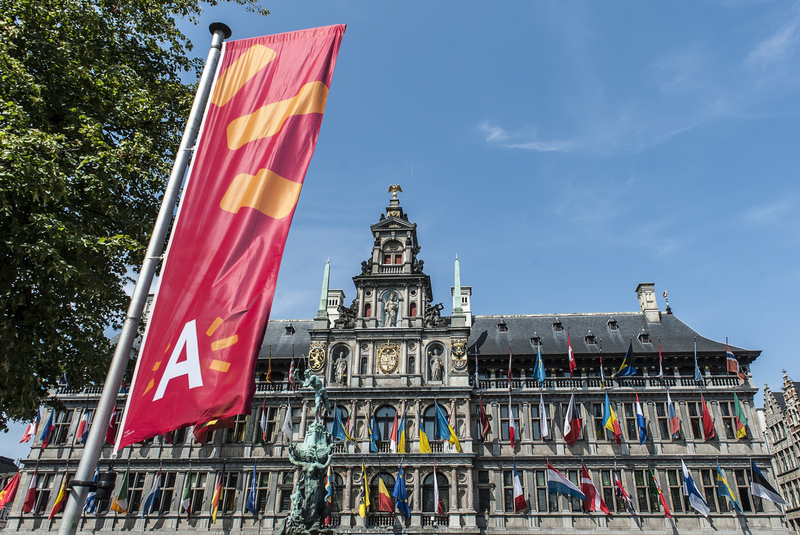 The town hall is the beating heart of Antwerp politics. The impressive building is one of the eye-catchers in Grote Markt along with the statue of Brabo. Antwerp’s town hall was included on UNESCO’s World Heritage List in 1999. Antwerp’s town hall is of capital cultural importance as it is one of the first examples of Renaissance architecture in the Low Countries. The building has a long and colourful history and has been in use since the sixteenth century. There is to plenty to see on the outside and inside of the city’s stateliest building. The Renaissance façade, the magnificent halls, and several artworks. The façade is decorated with the flags of the 28 countries of the European Union, in addition to flags of all the countries that have a consulate in Antwerp. Join the historical city walk, which includes a stop at the town hall, where your city guide will share some interesting facts about this centuries-old building.